We can't give you a quote from Edward Kessie, but we have hundreds of drivers waiting to offer you a great price. Have a question for Edward Kessie? No problem, send them a message and they'll email you back as soon as possible. If you have a more general question you might find it answered in the FAQ, or you always contact one of our brilliant customer service team. * Edward Kessie won't be able to see your email address. Very helpful and nice driver! Fantastic experience. Driver communicated well and everything was delivered on time. Highly recommended! The driver was very friendly and helpful. Thumbs up from me and my family. A bit late but called to let us know. Not a heavy lifter but courteous and generally very good. Job took only about 40 minutes ( which I had guessed beforehand), but as it went smoothly from start to finish I am not complaining. Extremely nice man and made the whole move very easy. Also he's very good at box Tetris, helpful with getting all my stuff in his van. Thanks again! Edward was on time and very helpful and organised. It made the move very smooth and easy. Flexible with arrival time, very helpfull, removing from 2 floor flat with no lift. Pleasant manner - Genuine professional / nice guy also very efficient & nice price. Edward was courteous and helped us pack our rather sizeable apartment into a single load. He was a little late and got lost during the route a couple of times but we did manage to get everything done in the allotted time so all in all can't complain! Really great service - Edward was brilliant and I'd heartily recommend him. We will use this driver all the time!! Excellent, courteous, knowledgeable, efficient and on time! First Class! The driver came 20 minutes late. CMV response. We are very sorry for this lateness, however, due to traffic conditions it is not always possible to predict a delay such as this. 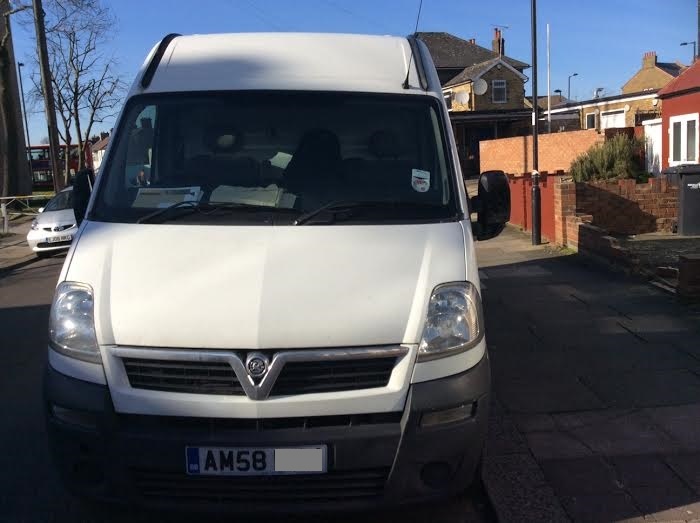 The customer was kept fully informed of the delay but we were unable to get an alternative van to him faster than the one which was on the way. was very happy with the service. Thanks a lot! Mr Bessie was very friendly and helpful. I'd definetly recommend him to everyone. Thanks for making my move pleasant. Edward was a very friendly guy, the drive wasn't easy as there were lots of idiots on the road but he took it in his stride, good natured and good humoured. A true gent, very professional- my wife and I would recommend Edward highly. Edward was fantastic. He made my move pleasurable and I will recommend his (and this) service to anybody asking without hesitation. Our driver was really helpful and friendly throughout the whole move. If you are looking to book a driver I would use Charlie he was great. The driver was very friendly and helpful and even worked out the the route avoiding the congestion charge which wasn't mentioned when I booked so feedback would be to amend the site to show this more clearly when booking as I don't think it was.